Welcome. I’m Joseph Webb, III, a financial professional in Palmetto Bay, Florida. We understand that individuals face unique challenges as they prepare for retirement. We can help take the mystery out of preparing for today and tomorrow. Whether your goal is saving for retirement, college savings, or estate strategy, our personalized service focuses your needs, wants, and financial goals and objectives. We can help you address your needs of today and for many years to come. We look forward to working with you through all stages of your life. Please call (305) 969-3644. Having a sound personalized retirement income analysis is essential to realizing your dream retirement. With our retirement income analysis – you can take a closer look at some of your thoughts, assumptions and figures you've accumulated about retirement, and put them all together in an analysis to see if your strategy will hold up. If your current strategy has problem spots, we can show you how many years into retirement those issues may appear with an easy-to-understand analysis that may reveal when your income may fall below a desired level. You can then make adjustments to your strategy now so you can avoid problems later. Meaning you can take control of your finances and head into retirement with reassurance that you're ready for whatever comes your way. Request your complimentary financial income analysis! 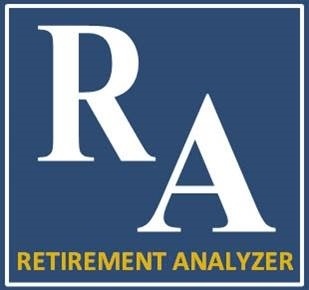 Retirement Analyzer is a software program that is designed to help agents review the effectiveness and potential success of your retirement strategy. Retirement Analyzer is not a comprehensive financial plan, nor is it a comprehensive overview of all your portfolio holdings. Profit Planners Management Group is not affiliated with Thomas Gold Solutions, nor do we guarantee the accuracy or quality of their services. Although we may promote and/or recommend the services offered by this company, agents are ultimately responsible for the use of any materials or services and agree to comply with the compliance requirements of their broker/dealer and registered investment adviser, (if applicable), and the insurance carriers they represent.